Cocoa powder is considered good for skin because it is rich in antioxidants. Cocoa is loaded with iron, calcium, magnesium, manganese, potassium, phosphorus, selenium, etc. It rejuvenates dull skin and makes your skin soft, smooth, and glowing. Moreover, application of cocoa powder face masks protects your skin from sunburn. Besides, drinking flavonoid-rich cocoa improves blood flow and circulation. 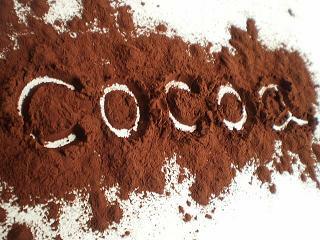 When prepared beauty masks with cocoa powder, make sure you use organic, unsweetened cocoa powder high in antioxidants. As these masks are thick, you may consider removing them from skin with the help of a washcloth. • Prepare a simple beauty recipe by mixing cocoa powder and sufficient water to form a paste. Leave it on your face and neck for 15 minutes and then wash it off. You may also use freshly brewed green tea instead of water. • You can make another anti-aging face mask by combining cocoa powder, orange juice, and a little honey. Besides, you may apply a mixture of cocoa powder, milk cream, and honey every few weeks to maintain younger-looking skin. • Take four tablespoons each of finely ground coffee beans and cocoa powder. Add about eight tablespoons of whole milk, cream or plain yogurt in this mixture. Finally, mix two tablespoons of honey. If you have oily skin, replace honey with lemon juice. Apply the resultant paste on your face and neck, and rinse it off after 20 minutes. This coffee and cocoa facial mask is highly beneficial for improving your complexion and reducing facial puffiness. It can be used on all skin types. In case you have extremely dry skin, you may add organic coconut oil or sweet almond oil in the mixture instead of milk/cream. Here’s a video showing how to make this coffee and cocoa powder face mask. • Grind about three teaspoons of rolled oats in a blender or coffee grinder to get a fine powder. Add this powder and three tablespoons of heavy cream (you may use sour cream or plain yogurt instead of heavy cream) in half a cup of cocoa powder. Smear it on your face and wash it off after 10-15 minutes to exfoliate your skin and protect against sun damage. Finally, follow up with a toner and moisturizer. • To maintain soft beautiful skin, prepare a beauty mask by mixing a quarter cup of honey, four tablespoons of heavy cream, three tablespoons of ground oatmeal, and three teaspoons each of cottage cheese and ripe avocado pulp. Apply this mask on your face and neck. Finally, rinse it off with lukewarm water. • Blend one-third cup each of cocoa powder, ripe papaya, a quarter cup of organic honey, and three teaspoons each of heavy cream and ground oatmeal to form a creamy paste. Apply it on your skin for about 15 minutes and then wash it off with warm water. • Melt a quarter cup of cocoa butter over a double boiler or in a microwave. Then, add three-fourth cup of liquid castile soap in it and mix well. Next, stir a quarter cup of apricot kernel meal, 1/8th cup of finely ground almonds, two tablespoons of dark brown sugar, one and a half teaspoons of chocolate fragrance oil, one tablespoon each of jojoba oil, cocoa powder, and half a teaspoon of vitamin E oil in the mixture. Pour this chocolate body scrub in an airtight container and keep it in the refrigerator for a couple of days before using it. • Prepare an easy cocoa body scrub by mixing six tablespoons of olive oil, four tablespoons of honey, two teaspoons of cocoa powder, six drops of peppermint essential oil, and a little water in a cup of granulated sugar. • Make a cocoa bath soak by mixing one cup of baking soda and a quarter cup of cocoa powder in bath water. You may also add rose petals. Soak in this water for about half an hour.